A career as a Pilot in the Air Force involves a rigorous interview and testing process that should not be attempted without thorough preparation. Thar’s where Flightdeck Consulting come in. Our team of industry experts will both prepare and guide you through the process ensuring the best possible outcome in your air force interview. 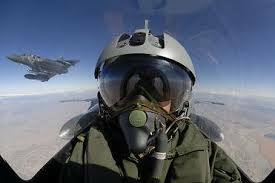 After completing the Air Force Pilot Interview Preparation course you will be fully prepared for your pilot interview. You will arrive with the confidence of knowing exactly what to expect and armed with all the necessary tools to answer any question put to you by the interview panel. Our one on one air force pilot interview coaching sessions can be done from anywhere in the world at anytime via telephone or skype. After receiving your CV and nominated airline our professional interview consultant Sasha will prepare customized interview session’s specific to you and your air force. Sasha is an international airline pilot with fourteen years experience flying the A330/ A340 and holds a Bachelor Of Science majoring in Aviation. She has also worked in the aircrew recruitment department of a major international airline. Becoming a pilot in the air force doesn’t come easy. Competition remains tough and the key to success is preparation. Give yourself the best possible chance of success and start your preparation today. Don’t leave anything to chance. Give us a call or email us today to discuss how we can help you prepare for your Air Force Pilot Interview.